These breakfast muffins are a great way to start your morning off right! 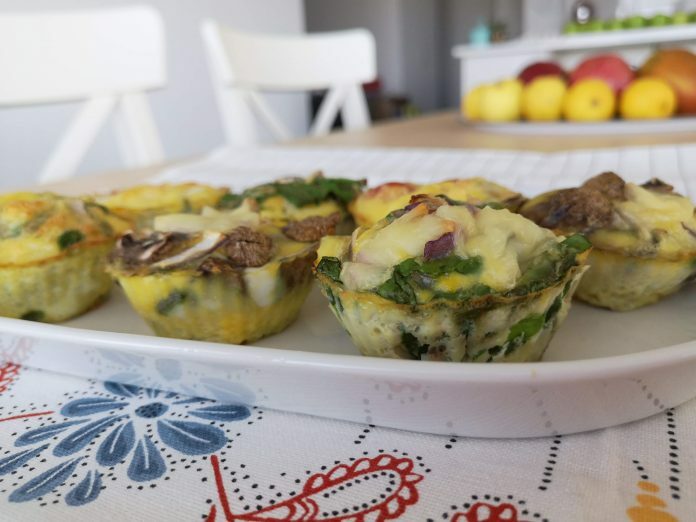 Not only are they super easy to make but also great when you are hosting a breakfast as this recipe makes 12 small muffins AND you can also customize to suit specific dietary needs. What more can you ask for in a breakfast muffin!